We’re excited to announce a week of events run jointly by the Queer London Research Forum, the University of Westminster Staff LGBT network and University of Westminster Student LGBT society, as part of LGBT History Month. This panel discussion will explore the challenges, opportunities and difficulties facing London’s ageing queer populations. How do older queer populations experience London and how do they read it differently? In part, the event will also consider how soap operas offer a frame through which London’s ageing queer populations might understand the city and its issues. Speakers for the event include Kate Hancock (Opening Doors London), Dr. Nicola Humberstone (Age UK Camden) and two speakers – Sonny van Eden and Matt – from FTM London. Kate Hancock is the Women’s Development Coordinator for Opening Doors London and a member of the older LGBT community in London. She has been working with ODL for two years. For many years she worked in therapeutic communities in mental health charities and charities working with people who had been homeless. For most of her adult life she has been involved in feminist and LGBT movements and politics. She will “talk about Opening Doors London, about how the project came about and developed, what we do and the difference we hope to make within the older LGBT community in London. Whilst we aim to reduce social isolation for older LGBT people and increase awareness of the needs of our community, we also aim to have a good time”. Dr Nicola Humberstone’s PhD, entitled Older People, Sexuality and Soap Opera, was awarded in 2010 by Middlesex University. She is the Patient Experience Co-ordinator for Community Health Services of Barts Health, and a sessional worker for the Age UK Opening Doors Project. Dr. Humberstone will use “textual analysis of key moments in soap operas, and soap opera talk, and propose that soaps are queer spaces for talk about LGBTQ lives and issues and that EastEnders in particular elicits older people’s memories and experiences of queer London”. Following a screening of the film described by the New York Post as “a clever and big- hearted gay screwball comedy”, and by the Toronto Star as “a true romantic comedy”, will be a Q&A with the films director Ian Iqbal Rashid. 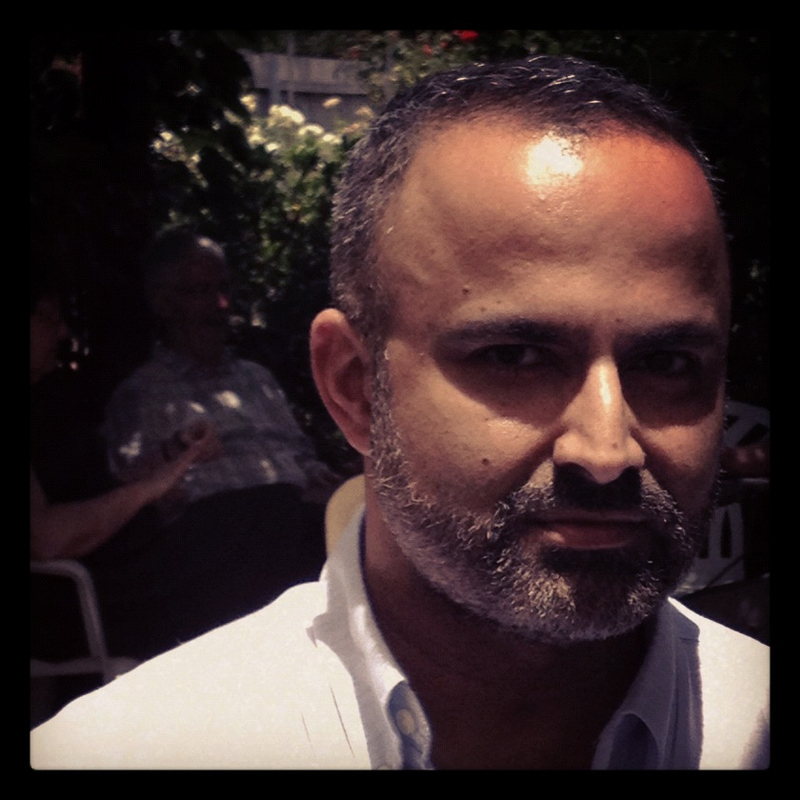 Ian Iqbal Rashid’s career began in television, writing for the hit BBC television series This Life, for which he won a Writer’s Guild of England award. After other television work, he went on to write and direct two award winning short films, Surviving Sabu and Stag. In 2004, Ian wrote and directed his first feature, the British-Canadian co- production, Touch of Pink, which premiered at Sundance and was bought by Sony Picture Classics after a heated bidding war. The film won many festival prizes and eventually had a successful theatrical release. In 2008, Ian directed How She Move, a dance film that also premiered at Sundance, and after another bidding war, was bought by Paramount Vantage. The film was nominated for the Sundance World Cinema Grand Jury Prize and eventually opened at number 10 at the US box office. In 2014 he will direct his own script, American English, a mother-daughter comedy set between the US and UK. He is also developing the award-winning novel Remedy into a musical for Screen Siren and Aria Films. On the television side, Ian is developing two series for Sienna Films, producers of Touch of Pink and How She Move: a half hour comedy, Chutney Chicks, and a full hour comedy-drama, Heartfield. Ian is the author of three volumes of poetry. A fourth will be published in 2015. He and has written stories and series for BBC Radio Four, the most recent of which was the 2011 serial Leaving Normal, a comedy-drama starring Imelda Staunton and Meera Syal for Women’s Hour. His many awards and prizes include the Aga Khan Award for Excellence in the Arts. Born in Tanzania, Ian grew up in Canada and now lives in the UK. He has dual British and Canadian nationality and works regularly in both countries. For this event we will be joined by three writers whose work engages intricately with the relationships between London and queerness, all of who will be reading from their work. 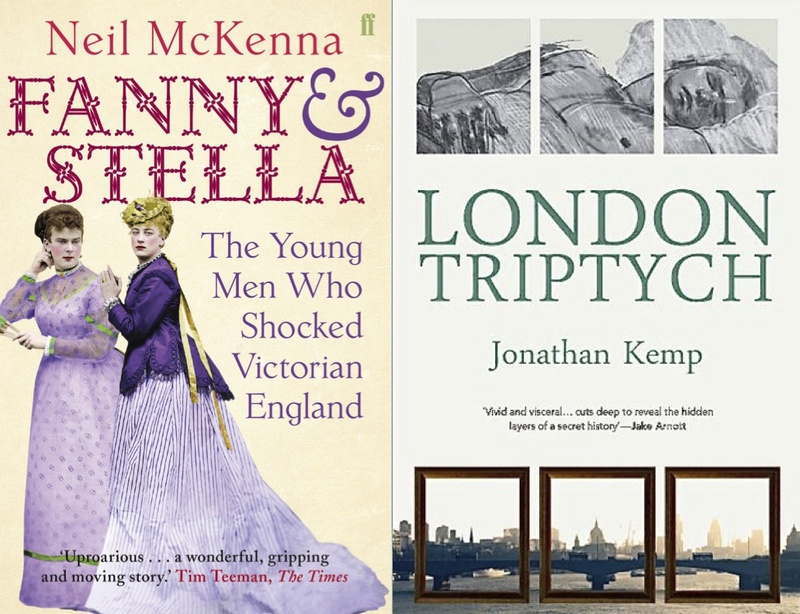 We’re excited to welcome Jonathan Kemp (London Triptych, The Penetrated Male Body), Neil McKenna (Fanny and Stella, The Secret Life of Oscar Wilde) and others (tbc). Jonathan Kemp is a writer & academic. His first novel, London Triptych, won the Authors’ Club Best First Novel Award. His most recent book, The Penetrated Male, is an examination of the representation of the penetrated male body in literature. He teaches at Birkbeck College, University of London. Award-winning journalist and editor, Neil McKenna has also worked as an editor for Channel 4. Working extensively in the gay press he is known for initiating the campaign for gay law reform in the Isle of Man and leading the fight against Clause 25. He is the author of two ground-breaking books about male homosexuality and AIDS in the developing world: On the Margins (1996) and The Silent Epidemic (1998). His debut biography, The Secret Life of Oscar Wilde, was published to wide acclaim and became a national bestseller. These events are running as part of the programme organised for LGBT History Month by the University of Westminster Staff LGBT Network, the University of Westminster Student LGBT Society and the Queer London Research Forum. For a full programme of all University of Westminster events, including 2014 Student Pride which is being hosted by the University of Westminster, please click the link below.